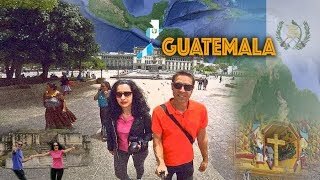 Locally known as Guatemala or Guate, Guatemala City is the capital and largest city of Republic of Guatemala. It is also the most populous in Central America. 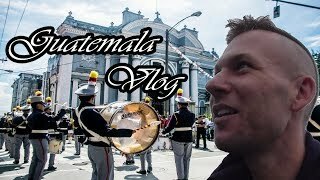 Guatemala City is also the capital of the local Municipality of Guatemala and of the Guatemala Department. Unearth a vacation destination with all of the trappings of the Old and New Worlds in Guatemala. Rio Dulce or Sweet River is popular with sail boaters. The river has one of the largest bridges in Central America. One side of the bridge is Frontera, which is famous for a vegetable market. Yaxha meaning blue-green water is a good place to climb to the top of Temple 216 for views of the lake and the jungle. 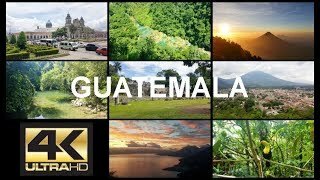 It is one of the top tourist attractions in Guatemala for its beauty and ancient wonders. The name Tikal means Place of Voices. It has a large wildlife reserve with monkeys, parrots and other unbelievable specimens. Hotel Vista Real Guatemala- Get mesmerized into the elegant colonial architecture to breathtaking outdoor gardens. El Convento Boutique Hotel- This beautiful hotel situated in Antigua Guatemala, offers outdoor pool and amazing views. Porta Hotel Antigua- Located in the historic town of Antigua Guatemala, it offers a spa and outdoor swimming pool. Jean Francois- The cuisine has a subtle cheeky take on traditional French fare. The stellar service and striking interiors make an unforgettable experience. Kacao- The ambience at this small restaurant and cafÃÂ© is laid-back and easy going. It is a great stop for visitors to try the regions traditional delights. Chicken pepian: Has fruits and vegetables and a rich mix of spices. It is cheaper to fly into Cancun and take buses through Belize or fly into Mexico City and head to Guatemala City. There are also regular buses or could head for hiring a cab.